The two arms, two legs, two eyes, one amazing set of lungs, and wet at both ends kind. The kind that will astonish and amaze us… once she decides to get here. Not too soon, of course. She’s not due for another two months — Valentine’s Day 2014. But soon enough for her first time parents — who are at one and the same time a bit excited and a bit frightened by this impending change in their lives. And today, in Virginia, we gather to share our joy with the mother-and-baby-to-be. 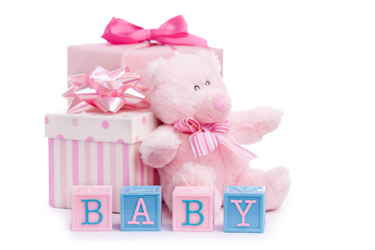 A baby shower, full of all the fun and delight that only a baby shower can bring. A gathering of the family with all the smiles and hugs and pink ribbons and bows that only the promise of a new baby garners. A gathering that reminds us of life’s circle. She will be loved. She will be treasured. She will make us smile even when she makes us cry. We absolutely can’t wait to meet her. She would have been the greatest great grandmother. We all understand and accept that no-one lives forever. But Marianne would have only been 77 years old this year, had we not lost her six years ago. Lost her in 2007 to those damned cigarettes that took so many of her generation — and the one before — and the one after. She should have been here today to see this. And we can only pray that those damned cigarettes never take another one from us… and from the little girl whose coming brings us together today. Enough with the broken circles. Loved this and especially “those damn cigarettes”! If she only could be here to see the days ahead. Lost my dad to his damn cig’s and alcohol in 97′. He missed my wedding and my graduations! I think the joy of the new little ones help us “recover” so to speak. But there are still those moments when quietly a tear will fall. The wonder and joy of the new babies does ease the pain, Pat, but oh… Marianne would have so adored being a great grandmother. We all missed her smile today. This brought back memories of when I was fourteen and my cousin (nine at the time) found out on the day my mother’s younger sister was buried (died of lung cancer at the age of 28) that the woman she though was an aunt was actually her mother. They missed a whole lifetime together. That’s so sad… we’ve all lost so many to smoking. Another "w.p." moment.. – there's a small set of (not yet scanned) letters in my latest acquisition. The only one I peeked at before swearing to wait until after my obligations was from Leva to Bobbi. Inside was a clipping from a Dear Abby column. The writer started, "Dear Abby: I commend you for devoting an entire column to the dangers of smoking. It was a noble effort, but those who need it won't listen." Sigh indeed… And good for Leva! Wish the advice had been heeded. Those damn cigarettes have taken far too many. As kids we would always tell my maternal grandmother that she needed to quit or she would die from lung cancer. Her reply was always the same, “Honey, I have to die some way.” In 2009 in the last days of her life, she told me that if she knew how painful a death lung cancer would be, she would have quit a long time ago. There are so many things that I have wanted to call her for since 2009 and unfortunately, I cannot. I know we have someone special on the other side looking over us. Congratulations on the new baby (or babies) in the family. I am sure that you and the family will share many stories with the little ones as they grow to share with them stories about their great grandmother.